On Friday, February 26, 2010, the screenwriting and brother duo Shawn and Michael Rasmussen visited Randy Steinberg’s Screenwriting II class to speak to both graduate and undergraduate screenwriters. In a sense, it is because of COM and BU that The Rasmussens got their start in screenwriting. The brothers, originally from Texas, were not always a writing team. Shawn got a degree in engineering while Michael went to film school. After several years, they both found themselves in Boston working in the corporate world; it’s then that they teamed to start writing scripts and joined a writing group called the Harvard Square Screenwriters. Enter into this story a man named Glenn Cooper: Cooper, a doctor and CEO, decided to go back to school at mid-life and attended Film/TV so that he could amass the knowledge needed to make a movie. Through a connection to the Harvard Square group, Cooper (you may recognize him as the namesake of 2010’s Glenn Cooper Screenwriting Award at COM) got in touch with the Rasmussens who had a script titled Long Distance. Cooper snapped the script up and in 2005 the movie was made and distributed. The Rasmussens’ career was launched. Soon thereafter, The Rasmussens moved to Los Angeles, got an agent, and began writing new material. It is a script they wrote while in LA that they had students in Randy Steinberg’s class read. About that script, titled Horoscope, Michael Rasmussen said, “We wanted students to see what the real world of screenwriting looked like. In the Hollywood system, there are many voices asking you to take your original vision in many different directions. The results can be less than desirable even though you are meeting a lot of players and important decision makers.” Horoscope never got made and petered out as a project, but it was a great learning experience and on the heels of that failure The Rasmussens had another great success. This fall, a film will come out titled The Ward, written by The Rasmussen Brothers and directed by the legendary John Carpenter who came out of retirement to make this movie. Long Distance (about a woman who is being stalked by telephone by a serial killer who is getting closer and closer to her), The Ward (about women confined to a mental hospital who are seeing real ghosts), and Horoscope (about a doctor who receives terrifying horoscopes that all come true) are all of the horror/thriller variety, and it is here where the Rasmussens are staking their claim to mastery in the genre and the screenwriting business. 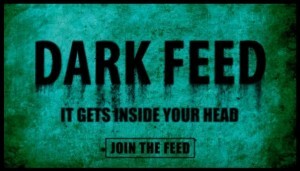 On top of this, they are soon venturing into directing as they begin pre-production on their own film Dark Feed, an independent horror film to be made in Boston. And the Rasmussens will actually use COM to hold auditions for this film. Both graduate and undergraduates had many questions for the Brothers who were nice enough to volunteer their time to pass on their experiences and wisdom to students at COM. For this we thank them and hope to see them return very soon.